An interesting idea for a movie becomes very slow and very dull as it turns out to not have nearly enough to say for an entire movie. 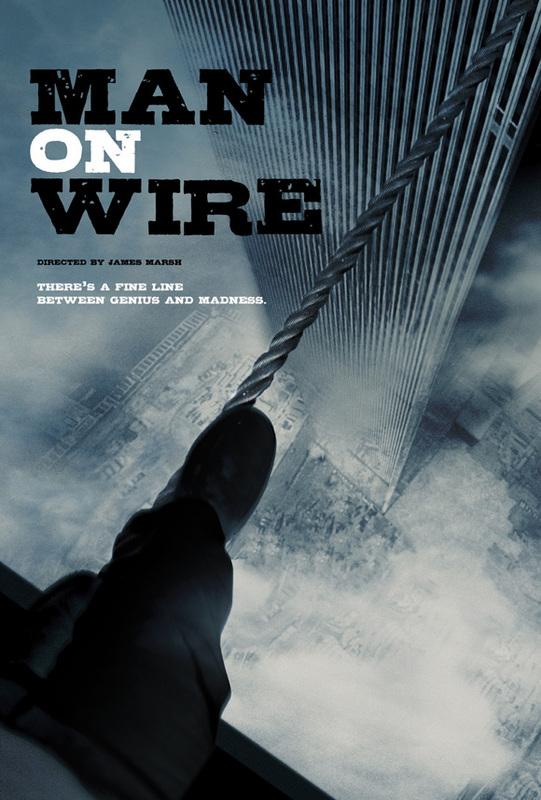 Man On Wire is a documentary about a frenchman who walked across a high wire that ran between the two world trade center buildings. this all took place back in the seventies when the twin towers were first being built. and for the movie to not be made until now, over three decades later, makes one wonder if maybe the movie only came out because now the towers are down. like there is some symbolism or full circle idea here, that at the start of the movie the towers didn’t exist, and at the end, they didn’t exist again. all of that could have been interesting, if only it were explored or even touched upon. but the movie doesn’t try. it doesn’t mention the towers falling down, and by avoiding that, it misses an opportunity to talk about something important. perhaps the reason is because this is not a movie about the towers, but about the man. phillipe Petite, is a guy who loves the thrill of walking on a wire in high places. he loves sitting on the wire and looking down over the world and feeling how amazing that is. he is also incredibly arrogant about his accomplishments. when a reporter asks him after one of his great high wire achievements, for example, if he was thirsty at all, or when the last time he had anything to drink was, phillipe responds “how could you be asking me that? i just stood on top of the world and this is what you have to ask me?” the guy is pretty full of himself. another example comes when a lot of american reporters have the same question for him, and he has a problem with that question. he has just walked from one tower to another, again and again, and the reporters want to know why. why did he do this? what made him want to try doing this? his response is that there is no reason why. he is surprised at american reporters and looks down on them for asking him why and expecting that there will be a reason. “does there always have to be a reason?” he says. according to him, he just felt it, and that’s all there is to it. clearly this guy is a jerk, who just wants to hear how great he is. of course there was a reason why he did it. because he wanted to see what he could get away with, because he wanted to see if he could pull it off, or about twenty other ways of explaining his motivation. but according to phillipe, there was no reason at all. the movie starts with talk about how he wanted to walk across the towers and how one day when he was at a dentist’s office, he saw a newspaper article about the towers that were going to be built. from there it intercuts with footage of him and his group of friends going up into the towers and hiding under stuff. but he doesn’t get out onto the wire. instead, the movie goes away from the twin towers and starts exploring phillipe’s youth, and how he came to this. not a big deal, if you look at it like the towers beginning was just a taste of what’s to come. in that case, a lot of movies start with a flash forward introduction. but here it’s different. the towers setup scenes are actually mixed in throughout the entire movie, and yet phillipe doesn’t actually get on the wire between the towers until the final thirty minutes of the film. considering that the movie is only an hour and a half long, that means for an entire hour of the movie, he doesn’t get on the wire. maybe there’s a good reason for holding off on this for so long. maybe it’s because the towers walk is being saved for the climax. but considering that the whole movie was supposed to be about the guy who walked across the towers, it seems like holding that event off until the final portion of the movie is really just wasting a lot of time. i’m sure it was an intentional strategy to hold off showing the walk for so much time, but it was the wrong strategy because as a result, the first hour of the movie didn’t have all that much to say. What we do get in that first hour are plenty of interviews and scenes of phillipe training. he sets up a high wire rigging in his yard and invites friends to come and watch him practice. the wire isn’t really all that high up off the ground, and that’s because this is to be where phillip practices and sees exactly what could go wrong, and how he would handle it if up higher. in one cool moment, he hears that the two towers might start swaying because of the wind and so he invites his friends to try to knock him off the wire, using all of their weight and strenght to pull down on cables that are connected to the wire to try to make it bounce. none of them can do it. it’s kind of hard to believe that this guy has never fallen or taken a misstep at all. not even in practice. at a certain point i’m sure he has, almost on purpose, because he probably wanted to push himself to see just how much he could do without losing balance. maybe he tried walking with a blindfold over his eyes and something soft underneath him. the movie doesn’t show any of this. now maybe he never tried pushing himself like this and maybe he really has never fallen or taken a misstep and lost balance at all (doubtful), but then the movie should address this. at no point in the movie does phillipe speak about whether or not he’s ever fallen or lost his balance. how are we supposed to understand the possible fear of what he thinks could happen to him if we are being told that he has never fallen before and is basically flawless and immortal? the first hour of the movie also deals with the woman who phillipe loves. she is a member of his crew now, and in the movie she recites some of the ways that he began courting her. she makes it seem like she devoted herself to him and never had a choice about what she wanted to do with her own life. and she’s okay with that. but then at the end, phillipe is suddenly out of nowhere getting with another woman. this is not explained at all, and it’s a shame, because it’s a missed opportunity, and a real “what the hell is going on?” moment for the audience. the events surrounding the getting to the top of the twin towers are pretty cool. since the top floors are still being built, phillipe and his friends disguise themselves as construction workers and hide on those top floors, under tarps, every time security walks by to do a sweep of the area. there’s also a lot of talk about going up and down the stairwells, sometimes carrying equipment, sometimes not. all of it starts to get repetitive after a while. some of the better moments are when members of his crew who got cold feet while in the act talk about why they suddenly left the team. 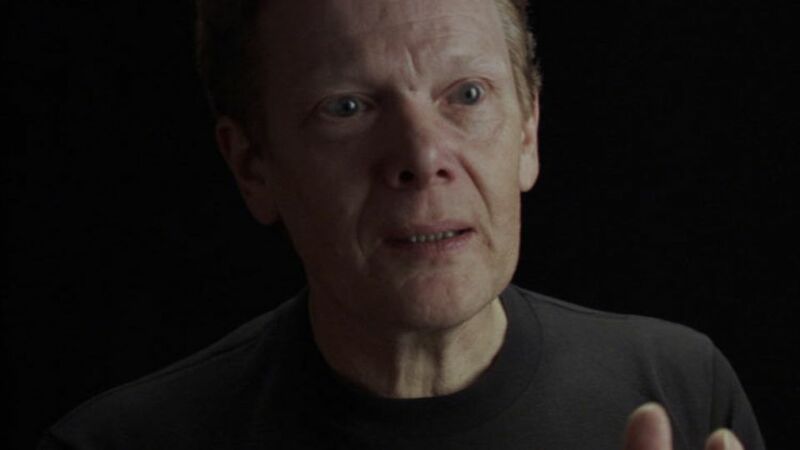 while the subject of a man who walked across the twin towers is an interesting idea for a documentary, it’s not really enough to fill an hour and a half. especially when he doesn’t actually get on the wire between the towers until the final thirty minutes of the film. there are certainly some enjoyable moments here and points of interest, but a lot of the film feels like it’s just killing time, waiting to get to the big event. the movie has plenty of strong points, but it also has a lot of mistakes that could have made a huge difference had they been handled correctly. it’s an okay documentary with some worthwhile moments, but a lot of problems as well.